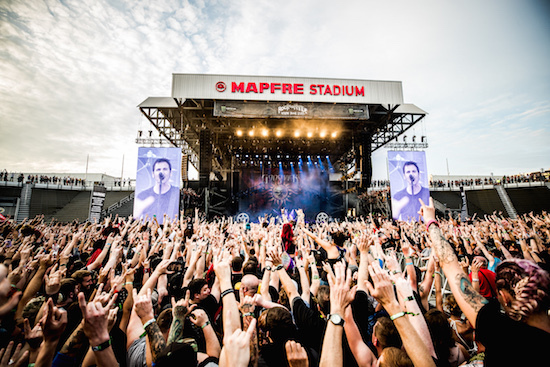 The 12th annual Rock On The Range wrapped yet another sold out weekend Friday, May 18, Saturday, May 19 and Sunday, May 20 at MAPFRE Stadium in Columbus, OH. 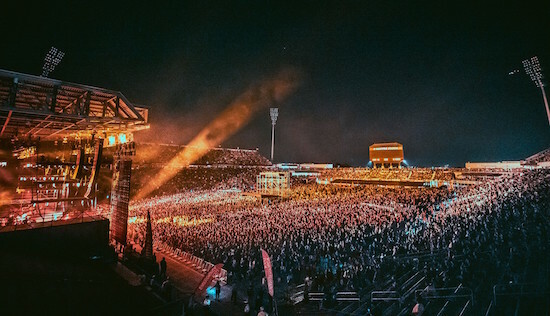 After selling out in record time in 2017, capacity was expanded in 2018 — and America's largest and most acclaimed rock festival had its biggest year yet, with 140,000 on hand to witness unforgettable performances from Tool, Avenged Sevenfold, Alice In Chains and more. This marked the 6th consecutive sellout for Rock On The Range. 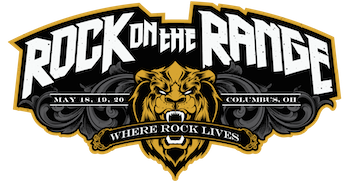 Rock On The Range 2018 featured nearly 60 bands on three stages, led by headliners Tool, Avenged Sevenfold and Alice In Chains, joined by some of rock's biggest names and most exciting up-and-coming talent, including Godsmack, A Perfect Circle, Stone Sour, Stone Temple Pilots, Machine Gun Kelly, The Used, Black Veil Brides, Greta Van Fleet, Code Orange, Power Trip, The Fever 333, New Years Day, and many more. In addition, the Rolling Rock Comedy Tent featured national and local comedy talent every evening throughout the weekend, including J.B. Smoove, Trae Crowder, Big Jay Oakerson and more. 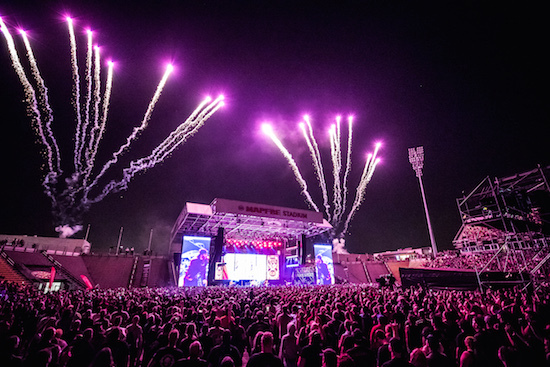 "Rock On The Range 2018 has set the bar super-high this year for what's to come on the festival front, with unforgettable sets from Tool, Avenged Sevenfold, A Perfect Circle, Stone Sour, Black Veil Brides…"
"The weekend was one long highlight…[with] sets by legendary bands including A Perfect Circle, Stone Sour, Godsmack and Stone Temple Pilots…It wasn't just about veterans: Code Orange, Power Trip, Fever 333 and Baroness were among some of the other highlights. Greta Van Fleet's set seemed to be the talk of the festival on Friday, and Sunday morning kicked off with the one-two punch of Them Evils and Tyler Bryant & the Shakedown. All three bands highlighted the fact that not only is rock alive and well, but so is rock and roll; these groups aren't about furious thrash or punk-inspired metal; their reference points predate either of those movements…Besides music, the festival offered an impressive lineup in the comedy tent; Curb Your Enthusiasm's JB Smoove leveled the joint on Saturday night…"
On the anniversary of Chris Cornell's death (one day before Soundgarden was to headline the opening night of Rock On The Range 2017), Friday night headliners Alice In Chains closed their set with a special tribute to their Seattle brother, covering Soundgarden's "Hunted Down" (the first song from Soundgarden's debut EP) and "Boot Camp" (the final song from Soundgarden's final album before their initial breakup in 1997). And on Sunday, headliners Tool began by dedicating their set to Cornell's friends and family. Local act Pray For Sleep — winners of 99.7 FM The Blitz's "Battle For The Range" — took the stage Sunday to the sounds of "Pomp & Circumstance" (as band members Cameron Dickson and Hayden Kissler missed their high school graduation to perform at the festival) before jumping into their show-opening set. On Sunday, more than one hundred motorcycles roared into the parking lot of MAPFRE Stadium as part of the first-ever Rock On The Range Charity Motorcycle Ride, hosted by Yelawolf. Rock On The Range and A.D. Farrow Co. Harley-Davidson — America's Oldest Harley Dealer — raised funds for the Ohio Fallen Heroes Memorial (www.ohiofallenheroes.org), in honor of Armed Forces Day Weekend. Additional charity partners including Fxxk Cancer, Take Me Home and others were onsite all weekend long, helping fans to give back in true rock and roll style. Rock On The Range is produced by AEG Presents and Danny Wimmer Presents. The festival is part of the World's Loudest Month concert series, which features the biggest names in rock music performing in seven U.S. events in distinct atmospheres during six consecutive weekends in April, May and early June of 2018. Since 1993, music industry veteran Danny Wimmer has been producing concerts and festivals, both large and small. In 2011, he formed Danny Wimmer Presents, which now produces several of the largest rock and alternative festivals in the U.S. By combining A-list talent with local cuisine and culture, DWP has become recognized within the industry for delivering the highest-quality entertainment experiences to fans, artists, sponsors, partners and host cities. DWP creates memorable and all-encompassing festival experiences, leaving both consumers and partners with lasting and meaningful impressions. DWP will continue to add new music festivals to its already stellar portfolio, which includes Rock On The Range, Monster Energy Aftershock, Monster Energy Welcome To Rockville, Monster Energy Carolina Rebellion, Louder Than Life, Bourbon & Beyond, Chicago Open Air, Northern Invasion, and Monster Energy Rock Allegiance, among others.